I got to go to Victor & Driggs Idaho as well as Alta Wyoming a couple of weekends ago to go to a family reunion for my mother's side of the family. I had not been for a few years so I was excited to be able to go and to enjoy some cooler weather than the 90-100 degrees we are having here. My mom is the only one out of her 8 siblings that moved far away from her family. 10 hours south is a long drive and so we got to visit my mom's side of the family once a year while I was growing up. It would have been nice to go more often but my dad was self employed and having 9 kids of their own making the 10-12 hour trip north was probably not a luxury that my parents could afford. So I am grateful now when I do get to go to spend a couple of hours visiting with my extended family. Now days we get together on a weekend around my Grandmothers birthday which was around the end of June. We always gather at my Uncle Jerry's home who has a beautiful big back yard. Cousin Roger always cooks up the most delicious meat and everyone brings a dish to share. I figured that I should make some cookies and I wanted to bring something that I hoped my Idaho family would enjoy. There are plenty of cowboy boots worn in those parts and the Tetons are a wonderful site to see. 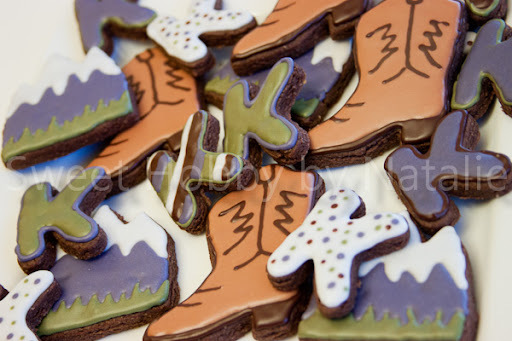 So I made come boot and Teton cookies and then some K's for Kaufman of course!! These were fun to make. 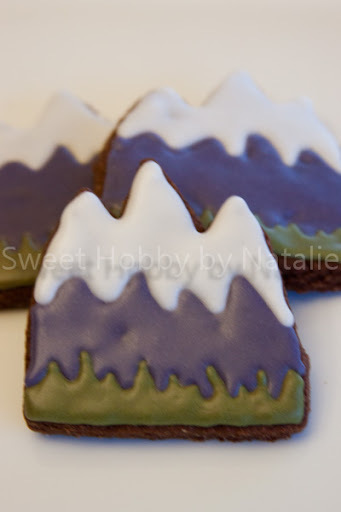 The mountain peaks and striped K were my favorites. I really like the colors you chose for the mountains!! These are adorable! 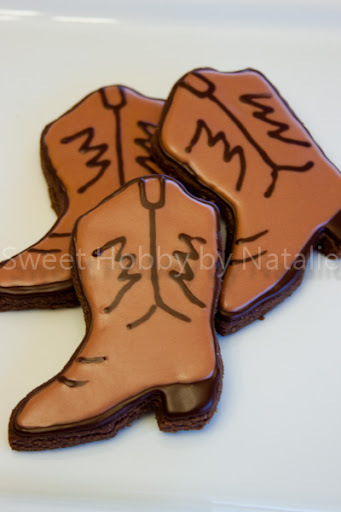 What a talent you have for cookies! Thanks for linking up with us for Tasty Tuesday and we hope to see you again next week!